The Lamigo Monkeys’ rookie 蘇俊羽 (Su Chun-Yu) pitched one of his best game last night against the Chinatrust Brothers. 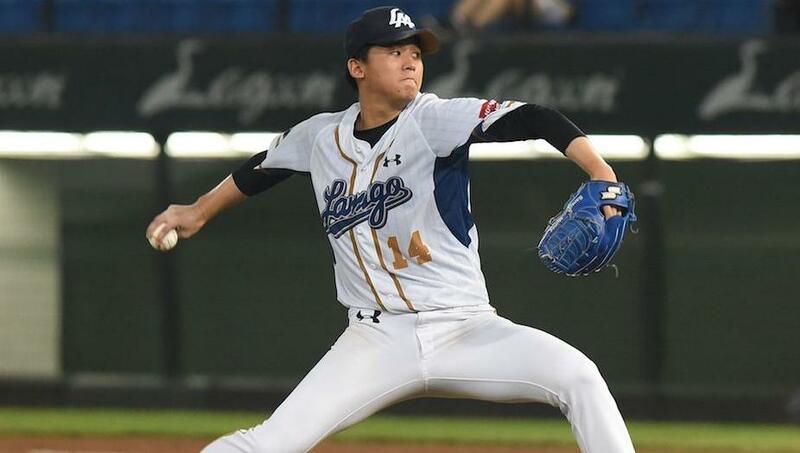 The 21-year-old RHP went nine innings, allowing five hits, two walks and striking out four to pick up his first career shutout win in the CPBL. Despite cruising through the first eight innings, Su ran into some problems in the bottom of the ninth after two outs. He first walked Peng Cheng-Min and then gave up a single to Chou Szu-Chi which lead to runners on first and third and is at risk of losing his shutout win. After settling down, Su kept his cool and managed to get Chan Tzu-Hsien to fly out to the centrefield and successfully registered the final out. “If the kid had a chance to get a shutout win, then I have no intention to pull him,” said the Monkeys manager after the game. 蘇俊羽 (Su Chun-Yu) threw a total of 123 pitches last night. He will join Josh Roenicke, Bruce Kern and Nick Additon to become the fourth CPBL pitcher to pitch a shutout game in the 2018 season. As a Taoyuan City native, 蘇俊羽 (Su Chun-Yu) was drafted in the fifth round by the Lamigo Monkeys in 2015 right after high school. From 2015 to 2017 he had spent most of his time in the minor league and was only given limited opportunities in the first team with a total of 15.1 innings over 3 seasons. In 2018, after posting a stellar 1.83 ERA and 1.37 WHIP performance over 54 innings in the farm league, this earned him a ticket to the first team. In 10 starts and 1 relief appearance with the Monkeys’ first team, he posted a solid 2.62 ERA and 1.35 WHIP over 48 innings.